Today has been an emotional one, Ive been feeling it all for the whole world. The miriad of emotions and tears could be labelled in so many ways- homesickness, fearfulness, frustration- but it seems a shame to label things that are so fluid and could in fact be also compassion, appreciation, love or just energy. I read a post from my dear friend Lizzie this morning who has been in and out of hospital for too many years in her young life battling a multitude of bodily issues that have left her sometimes completely stuck in hospital beds for months at a time craving meadows and trees and nature. I cant imagine how it is to be stuck in hospital beds when all you want is sunshine on your back and grass under your toes. When she is out of hospital she can be found nimbly climbing trees or wizzing around festivals on her crutches or wheelchair. Its days like today when reading Lizzie’s posts about what her days are like and the big health decisions she is facing, that my mind which is full of emotion and my body full of snakey wriggly sadness gets sharply put into perspective. Despite what we pretend, our bodies are constantly changing…aging….cells dying and being recreated. We are fluid, beautiful, unique but we are NOT everlasting and my rather healthy bodily cannot support me as wonderfully as it does forever. Anything can happen, and everything does! So I have spent this evening thinking of Lizzie, and thinking of both of our bodies and sending hers healing energy through the small movements of my own….the small movements being my creation of a healing talisman bracelet that I am going to send to her in hospital in London. 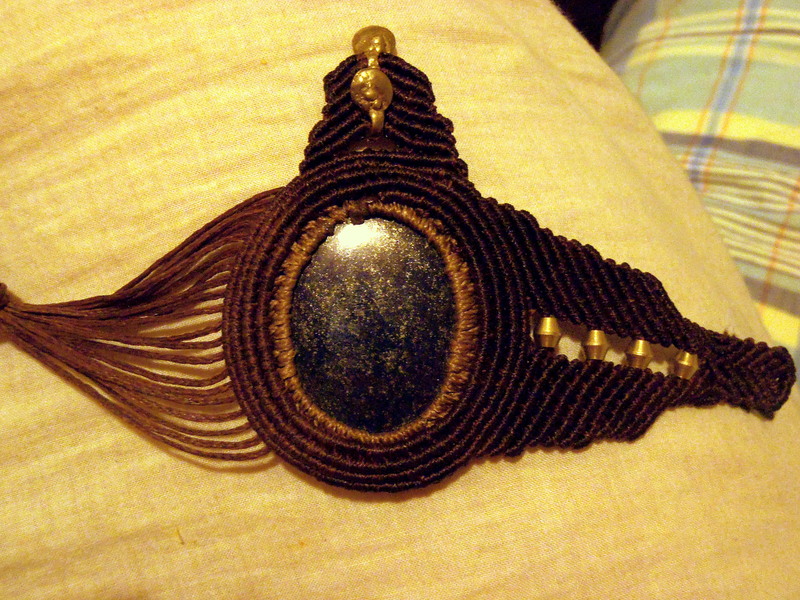 And this is it so far: made from Lapis Lasuli, a powerful healing stone. Lapis is a stone of protection which is said to release stress, bringing deep peace. It brings harmony and deep inner self-knowledge, encourages self-awareness, allows self-expression and reveals inner truth, providing qualities of honesty, compassion and morality to the personality. It is also said to stimulate objectivity, clarity and encourages creativity. Lapis Lazuli assists to confront and speak one’s truth and inspires confidence. It bonds relationships, aiding in expression of feelings and emotions. Lapis Lazuli also boosts the immune system, purifies blood, lowers blood pressure, cooling and soothing areas of inflammation. It alleviates insomnia and vertigo, and overcomes depression. Lapis Lazuli benefits the respiratory and nervous systems. 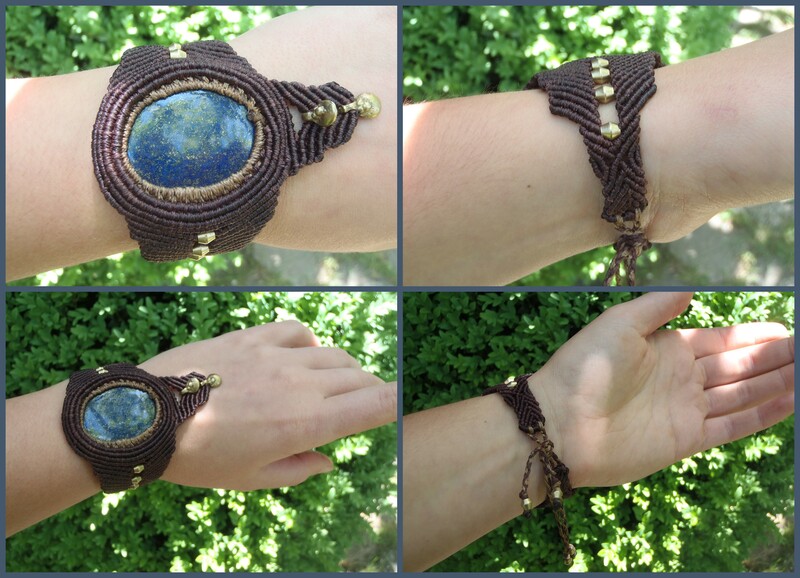 I remember when I was younger my mother giving me a simple Lapis pendent as a healing and protecting talisman….I can still remember holding it in my hand and looking into the deep space blue with its star dust gold sparkles. So this is for you Lizzie. A reminder to us both of what we REALLY are….that we are more then just our constantly changing bodies, that we all are made of midnight blue never ending sky and golden star dust. to all those who feel they need it.